At Toyota of Newnan, we prioritize customer service, so when a family comes into our Newnan, GA dealership, looking for a new car to serve as their daily driver, our dedicated staff of knowledgeable Toyota experts almost always recommends the Toyota Sienna, the only minivan on the roads today that offer available all-wheel drive and the only minivan that best serves families across America. The 2019 Toyota Sienna rolls through streets with ease because of the 3.5-liter V6 engine that produces 296 horsepower. Match that muscle with the swagger of all-wheel drive, and you’ll be hard pressed to keep a smile off your face. To control the beast that is the V6, the Toyota Sienna is equipped with an eight-speed automatic transmission, and an available sport-tuned suspension and steering to enhance the driving experience. If you’re not impressed enough by the powertrain of the Toyota Sienna, take a gander at what lies in the safety features, all made with you and yours in mind. The standard lane departure alert and standard dynamic radar cruise control (a vehicle-to-vehicle distance control system) will ensure that whatever condition you’re in and whatever condition the road is giving you, you and your crew will be covered within the ultimate safety features. 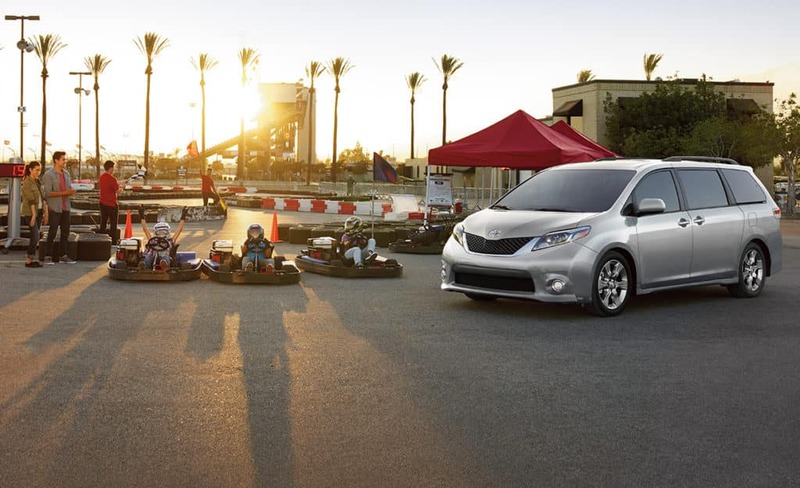 The special features in the 2019 Toyota Sienna include the unmistakably bold and modern look of the exterior, featuring a style defining upper and lower grille that screams “cool” and “fresh.” With the standard 19-inch gunmetal-finish alloy wheels, shining bright on all four corners, onlookers will double take your ride from here to next Sunday. The 2019 Toyota Sienna is available now at Toyota of Newnan for you to test drive. Our team of Toyota dealers will be more than glad to help you drive out with one or any other vehicle in our inventory of new Toyota cars for sale. We’re located at 2 Herring Rd., Newnan, GA 30265 for whenever you’re ready to test drive the 2019 Toyota Sienna.